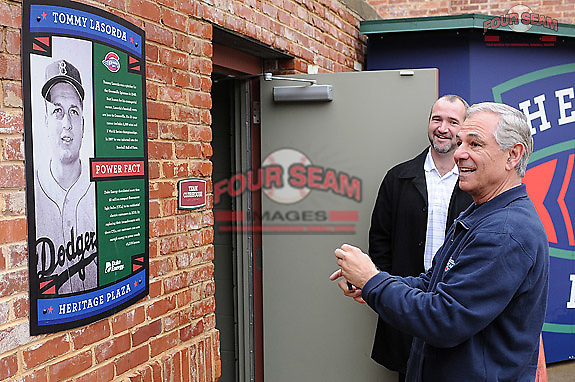 New Boston Red Sox manager Bobby Valentine takes a photo with his cell phone of the Tommy Lasorda plaque on January 23, 2012, at Fluor Field at the West End in Greenville, South Carolina. Behind Valentine is Greenville Drive General Manager Mike deMaine. Valentine was in town to speak at the annual Greenville Drive Hot Stove Event.